The aluminum plates can be used in the production of aircraft, automobile, train, building wall, ceilings, roofing, aluminum reefer containers and special containers, etc. Being a client-centric organization, we are engaged in manufacturing, supplying and exporting a comprehensive range of Aluminum Alloy 2014. Manufactured at our sophisticated infrastructure unit, the aluminum alloy offered by us is highly applauded for their features like low maintenance, dimensional accuracy and high tensile strength. Further, our appointed quality controllers closely inspect our range on different parameters to ensure flawlessness. 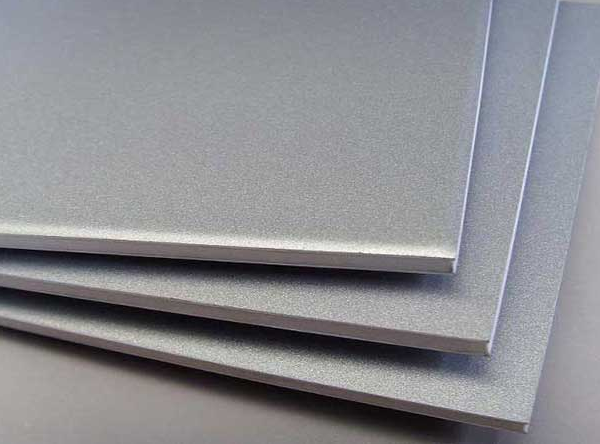 Manufacturer, Suppliers, exporters Of high quality AISI 201, UNS S20100, ASTM A240, 201 Stainless Steel Plate, Stainless Steel 201 Plate,1.4373 Plate, SUS 202 Sheet at at cheapest price in mumbai,india is used for stamped and machined products including appliances, kitchen and foodservice equipment, sinks, cookware, railway cars, tractor trailers and automotive trim. Aluminium is derived from the mineral bauxite. Bauxite is converted to aluminium oxide (alumina) via the Bayer Process. The alumina is then converted to aluminium metal using electrolytic cells and the Hall-Heroult Process. Pure aluminium is soft, ductile, corrosion resistant and has a high electrical conductivity. It is widely used for foil and conductor cables, but alloying with other elements is necessary to provide the higher strengths needed for other applications. Aluminium is one of the lightest engineering metals, having a strength to weight ratio superior to steel. JF engineering is a global leader of extruded thermoplastic sheets that can be used in diverse and innovative applications. With extrusion facilities around the globe sheet products are produced to consistently high quality standards. With many years of sheet extrusion experience, Covestro offers a wide product portfolio of solid and multiwall sheets suitable for many applications and industries.